The soldiers told me that a man in a red cloak suddenly appeared near the Pyramids. The passerby confidently approached Napoleon and ordered him to follow him. The future emperor obeyed a mysterious stranger. They disappeared into the pyramid. Napoleon’s conversation with the mystical man lasted more than an hour. From the pyramid Napoleon left alone, a stranger with him was no more. The General confidently gave the order to give battle, although at first he thought about evading the battle. Luck contributed to the future emperor. It was said that Napoleon had concluded a contract with a mystical patron for 10 years. The treaty expired on the eve of the Vagram battle (the war with Austria). Napoleon asked for a reprieve. “Red Man” agreed to extend the contract for five years. 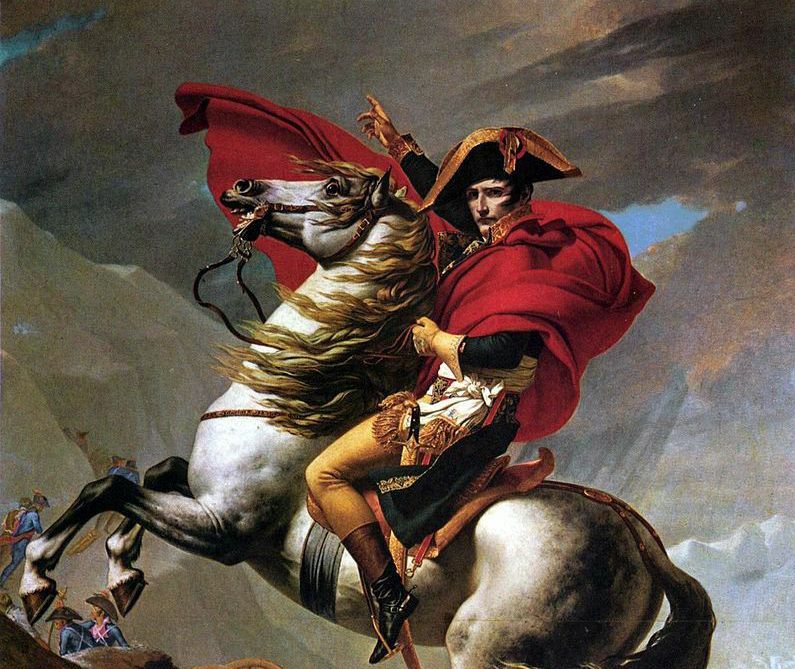 Napoleon again came out victorious, defeating the army of the Austrian Archduke Charles. The term of the new treaty expired on April 1, 1814. In January 1814 the Red Man appeared to Napoleon at the Tuileries Palace. The sentry refused to miss an uninvited guest. Then the stranger touched the soldier with his hand. According to one version, the sentry turned into ashes, on the other – petrified. “Do not forget that from April 1, I will not have any part in your affairs; this is the last term of our contract, which I want to keep in all accuracy. Until this time, you must either defeat your enemies, or make peace. I repeat that on April 1 I will take my hand away from you, and you know what will follow then … “- said the” Red Man “. Having uttered these words, the guest disappeared. 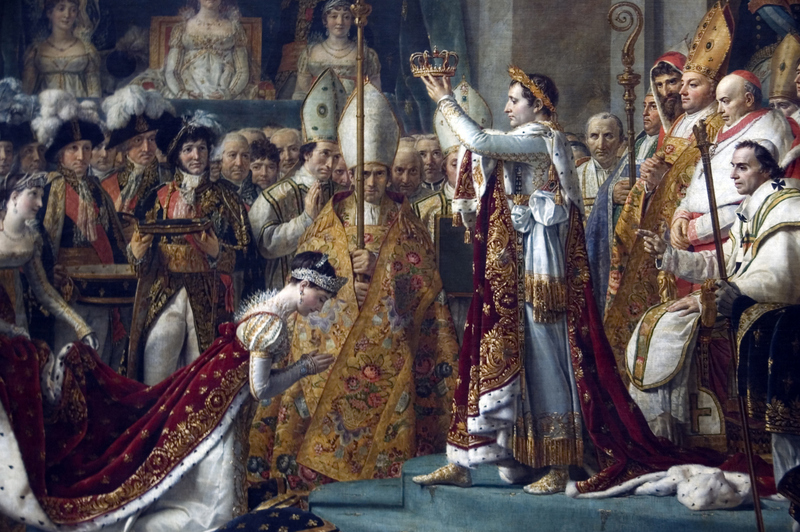 So it happened, in April 1814 Napoleon abdicated. Further attempts to regain power ended in defeat. According to another legend, Josephine, Napoleon’s wife, inherited a talisman that brings her husband luck in any business. After parting with Josephine, the emperor lost the protective power of the talisman, which was the cause of all subsequent failures. Fortune-teller Maria Lenormann warned Napoleon that the parting with Josephine would be the beginning of the fall: “You will be crowned, will bathe in the rays of glory and luxury, but in the fortieth year forget that your chosen one was sent to you by providence, and leave it. This will be the beginning of your end. Die in suffering and loneliness, everyone will deny you “- said the fortune-teller. Napoleon was still a simple lieutenant. To young Josephine Bogarne, fortune-teller Lenormann predicted: “You will become the wife of the Emperor of France.” The future Empress did not believe these words, having decided that the fortuneteller had gone mad. When Napoleon became emperor, Lenorman several times foreshadowed his failures, for which in 1808 she was deported from Paris. One day the fortuneteller stopped Marshal Murat, who was riding. – Get down, this is not your horse! – she said. – This horse – a gift to the emperor, the best horse, the winner of races! answered the Marshal. “The horse will be given to Alexander,” Lenorman called the name of the Russian Tsar. 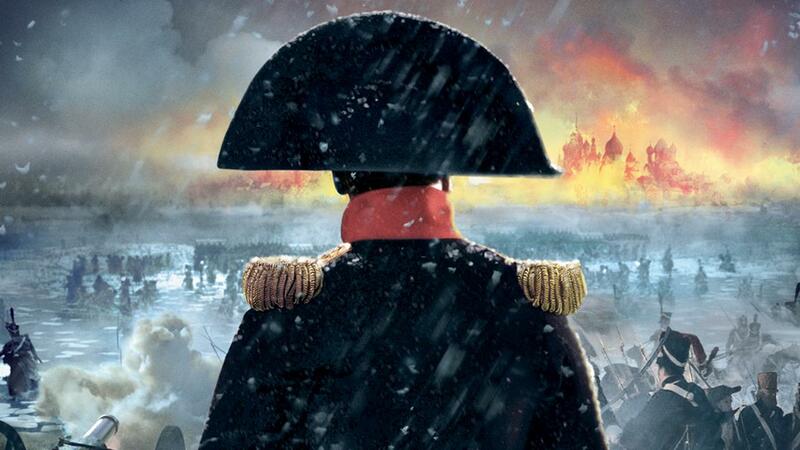 18 Brumaire (November) in 1799 there was a coup in France, which brought Napoleon the title of consul. October 18, 1812 – Tarutino battle, the first victory of the Russian army after the Battle of Borodino, which finally determined the defeat of Napoleon in the war with Russia. October 18, 1813 – Battle of Leipzig (Battle of the Nations), in which Napoleon was defeated by the Allies: Russia, Austria, Prussia, Sweden. June 18, 1815 – the Battle of Waterloo. Final rout. October 18, 1815 – arrival at the place of exile – St. Helena. The number “18” influenced the fate of Napoleon five times (three of them in October). And twice “18” was manifested after death. The depth of the grave of the emperor was 18 English feet, and the sailing of the frigate with the body of Napoleon was held on October 18. And it happened. Moscow (the “second capital” of that time) was “given away to the French,” but a few months later, Alexander’s army entered Paris. Evading the battle, Kutuzov exhausted the enemy and trapped him. The northern frosts played a detrimental role for Napoleon’s army. Kutuzov adhered to the tactics of the great Russian commander Alexander Suvorov – to reduce his losses. Perhaps, it is thanks to this tactic that Suvorov has never failed. One of the predictions of the victory of Russia is connected with the decision of Alexander, who feared defeat, to transport a monument to Peter I from Petersburg. Some major Baturin began to dream the same dream. As if a brass rider descends from the pedestal and heads towards the emperor’s palace. The statue of Peter meets Alexander and says to him: “Young man, to what you brought my Russia. But while I’m there, my city is not in danger. ” Soon the dream became known to Tsar Alexander, and he decided to leave the monument in place. It turns out that the extension of the treaty with the “Red Man” until April 1814 did not help Napoleon in the war with Russia in 1812. The mysterious patron deceived the emperor? Or the mystical powers of St. Petersburg were stronger? Napoleon’s tomb in Paris engraved all his victories, the last of which was Moscow.